In Japanese, Reiki has been translated to mean the “universal life force.” Reiki practitioners are attuned to tap into and channel this energy in order to activate the body’s natural healing abilities. 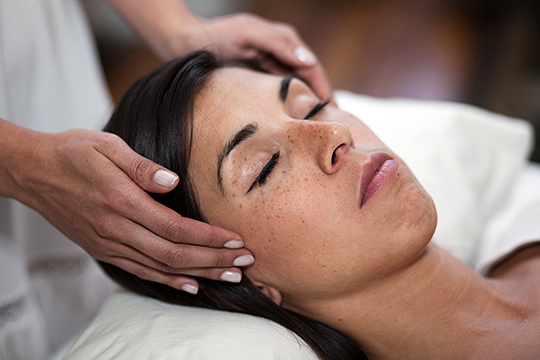 Reiki is an ancient healing practice working with prana, also known as life force, or qi (chi). Life force is constantly moving in and around the body, nourishing cells, tissues and organs, and traveling the channels of meridians, chakras, nadis, and aura. This energy is responsive to thoughts, feelings, movement and nutrition. When negative input attaches to a body’s energy system, it can cause areas to become stagnant, stop energy from flowing freely, and cause disease to begin. A Reiki practitioner can read the body’s energy map, noticing areas that aren’t flowing freely. The practitioner then channels their own qi, or energy, into the recipient by hovering their hands over these energy lines. Qi moves into the body where it is needed, healing areas where blockages have occurred and recharging energy where it is low. Reiki clears, straightens, and heals the energy pathways, allowing the life force to flow in a free, natural, and healthy way. Reiki takes place in the calm, clean and relaxing atmosphere of our studio or, if you choose, the comfort of your own home. It is important to have an area free from distraction, disturbing noise and clutter. On the day of your session, please refrain from drugs, alcohol or even a lot of caffeine, so your body is open to receive healing energy. The session will start with deep breathing exercises, followed by a hovering or light touch along your clothed body, from head to foot, concentrating in areas needing extra healing. Once the Reiki session is complete we will spend a few moments discussing the treatment, further helping the healing process. Please wear comfortable clothes. Immediately you should be more relaxed, and over the next few days you may experience an increased sense of stress relief, deep rest when sleeping, pain relief, and rejuvenation. Occasionally the recipient may experience a headache or general body ache, which is a sign the body is releasing toxins after the session. Remember to continue drinking a lot of water, and know that these symptoms are short-lived, usually causing no disturbance to regular activities. Overall you will feel more physical freedom and energy. Multiple sessions may be needed, depending on the severity of the cause and symptoms. Our Bound for Bliss studio sessions are priced below. Prices vary if sessions are being added to a private yoga or Thai Yoga Bodywork session, or scheduled at your home. For more information, or additional pricing, please contact Shanell at 469-952-9642 or submit the contact form below. You truely are an inspirational person, with an amazing kind soul! 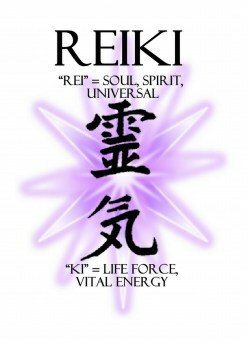 I just read about Reiki sessions, and am very interested in trying a session. I have, as you know, wanted to try yoga for well, years now and am finally spritually ready to try it, but I am thinking, if I “cleanse” MY energy within me first, it might be more benefical for starting the yoga journey, as well as with in myself. I am going to check out your schedule and make an appointment for Pilates for Life session. Thank you again for all your insight, wisdom, readings, and motivation! Call me 469 952 9642. We can schedule a time when I get home after March 15th. I’d love to have you over to my home. Have some tea, chat, and do some Reiki! Many people in this world could be more and more healthy if they know about reiki technics and this way of alternative healing. this is sheila dovile i had I had reiki done in ct.my sons girlfreind introduced me to this , I had two sesssions done while i was there. It was the greatist thing i have ever done, i also think everyone should do this because it makes you feel so good.